"Parking Network offers the quick and compact view to the parking business, the active companies in this field and the latest news in this domain. We are a long standing member and experienced how the platform became …"
Advance your career, enhance your professional reputation & excel in parking best practices. 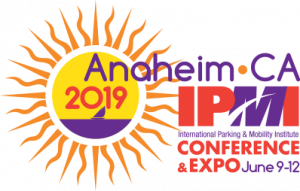 CPP Provides Comprehensive Industry Overview Achieving the NPA CPP credential is evidence of you mastery of parking industry knowledge and best practices. 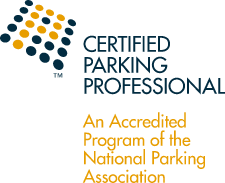 Stand out from the crowd, enhance your reputation, apply today >> To become a Certified Parking Professional (CPP), you must pass a comprehensive exam. Quarterly publication available online and in print. Parker is the premier printed and electronic publication of the Canadian Parking Association serving as the national voice of the parking industry. Parker magazine reaches key personnel and decision makers in the industry’s various sectors including hospitals, airports, post-secondary institutions, municipalities, government agencies, private operators, equipment developers/suppliers and consultants. 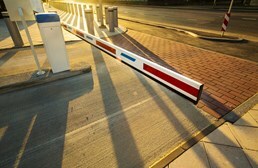 Portier offers complete solutions for parking guidance and management. Core of the Portier parking solutions is dynamic parking guidance systems that offer convenience of parking for customers as well as effective parking management for the operators. Some examples of the solutions include space-specific guidance systems with ultrasonic or camera-based detection, dynamic displays connected to third party systems, induction loop counting for open areas, roadside guidance displays and access control solutions for contract parking.